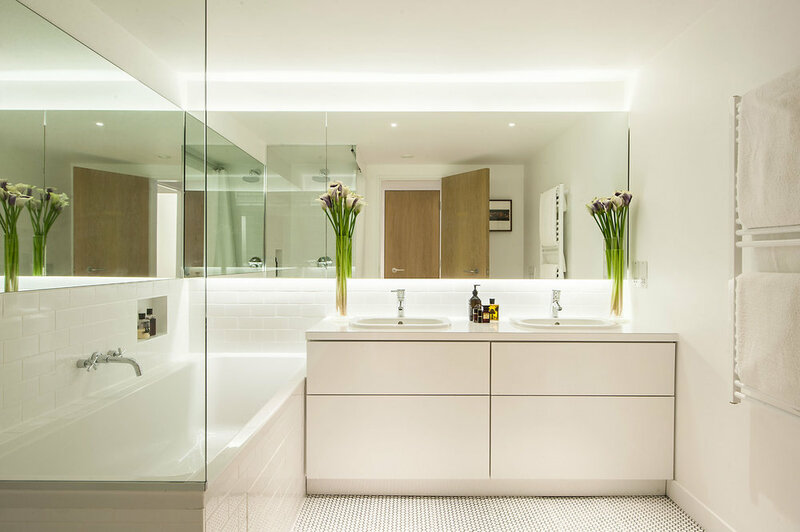 The brief was to transform two floors of a soughtafter former industrial warehouse building from the victorian era within conservation area into two large luxury penthouses. 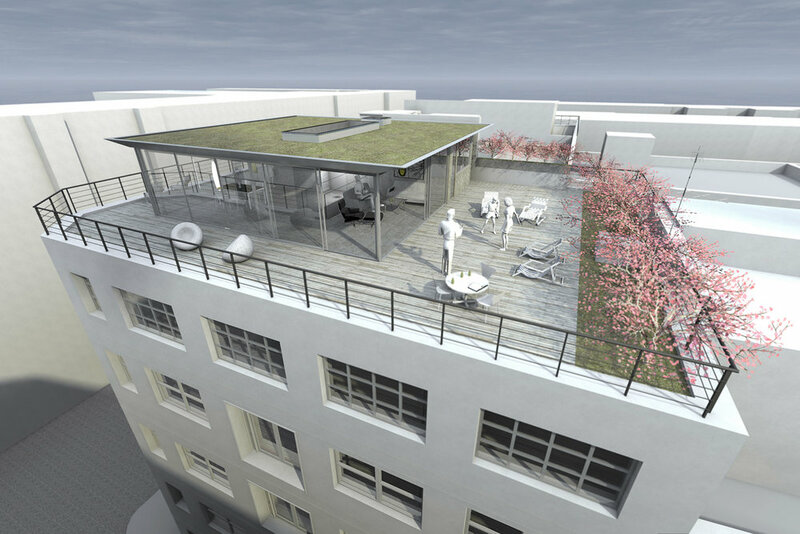 Planning consent was further achieved for a large roof extension providing scenic skyline views over central London. The showpiece of the apartments is a spectacular open-plan living room, while large windows provide light and airy rooms combined with original cast iron features.